4K Ultra HD Blu-ray recording specs announced for Japan | What Hi-Fi? The standards will be in place in time for the 2020 Olympic games, which NHK in Japan intends to broadcast in 8K. 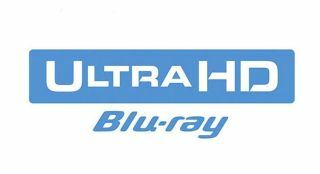 The Blu-ray Disc Association recently announced the competed specifications for Ultra HD recordable media. It's intended for use in Japan, where physical media sales of Blu-ray discs are still very popular (as opposed to here in Britian, where people might prefer 4K HDR iTunes movies). In fact, 75 percent of the Blu-ray hardware market in Japan is taken up by dedicated Blu-ray recorders, vastly outstripping standalone players. The new format allows off-air recording of UHD content, with players slated to become available in time for the Tokyo 2020 Olympic games - which, while recordable in 4K, may yet be broadcast in 8K. A triple-layer recordable BDXL disc can hold up to 100Gb, while a quad-layer version can reach 128Gb of storage. This is more than sufficient for storing HD broadcasts, and should even accomodate 4K and 8K broadcast footage.